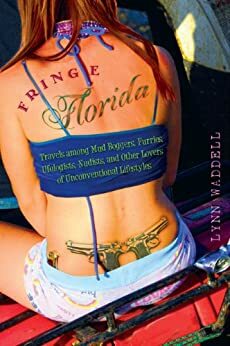 Based in St. Petersburg, Fla, Lynn Waddell is an author, journalist, essayist, and expert on the more unique subcultures of the Sunshine State. Lynn’s writing career has many chapters. She was the casino beat reporter for the Las Vegas SUN. She was a staff writer at the Birmingham News and at Tampa’s alternative newspaper Weekly Planet (now Creative Loafing). As a news freelancer, she’s written for the Wall Street Journal, the New York Times, Newsweek, the Daily Beast.com, the Florida Center for Investigative Reporting, and various other national and regional publications. She’s appeared on MSNBC, the Oxygen Network and numerous radio shows around the nation related to her reporting and writing. She’s taught journalism at the University of South Florida and the University of Tampa and teaches writing courses in St. Petersburg. She is a member of the Florida Humanities Council speaker’s bureau and is available to give entertaining presentations on the various subcultures of Florida. Please check out her award-winning book, “Fringe Florida,” which is being re-released in paperback in Spring 2018. Fringe Florida: Travels among Mud Boggers, Furries, Ufologists, Nudists, and Other Lovers of Unconventional Lifestyles.